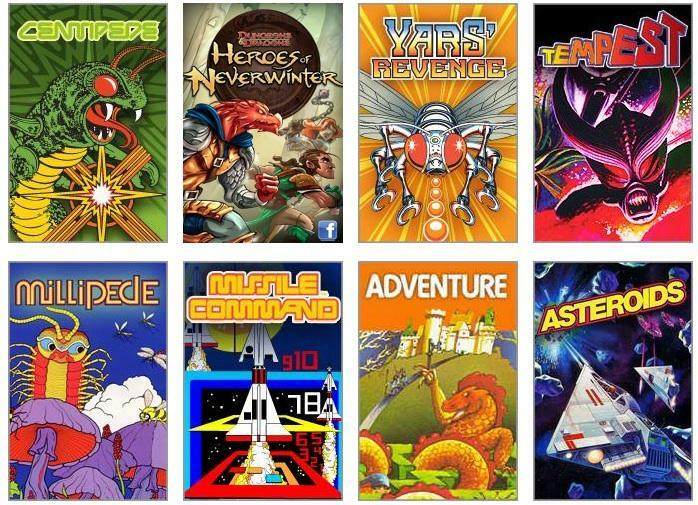 As part of its 40th birthday celebrations, video game company Atari is offering 100 of its classic arcade games for iOS devices for the princely sum of nothing. But you’ll have to hurry, the offer closes at midnight ET Thursday. No, it appears Android users aren’t included in the deal, which seems rather odd, don’t you think? The classic games – which include the likes of Pong, Centipede and Asteroids – will send those over a certain age on a dewy-eyed nostalgia trip, while younger game players who started life with an Xbox or PlayStation will have a chance to see what video games used to be like, in all their 2D blocky glory. “Relive the Golden Age of Gaming with a collection of the most popular retro games from the 70s and 80s. This extensive catalog pays homage to each of the originals, with controls designed to mimic what Atari fans remember from 30 years ago! For those who love the classic gaming experience, this handheld breakthrough is sure to guarantee hours of fun,” Atari says on its download page. Atari formed 40 years ago this week, mesmerizing millions with Pong, the simplest video game ever made, involving two ‘bats’ and a ball. But make no mistake, it was Pong which got the video game business rolling. Atari quickly became a giant in the arcade game industry with hits such as Space Invaders, Centipede and Missile Command. Millions will remember its Atari 2600 game console, with its individual cartridges and easy-to-break joysticks. The device sold over 30 million units between 1977 and 1992, when it was discontinued. Time is short, so if you have an iPhone or iPad and are interested in bagging a few fun games from yesteryear, head over to their download page pronto.